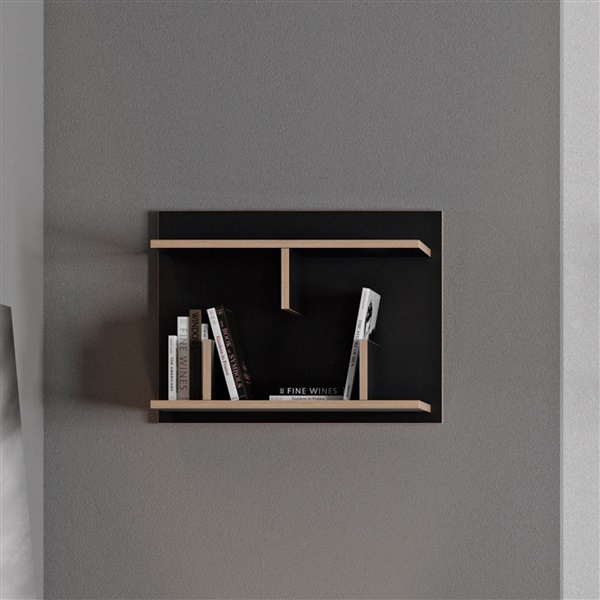 A decorative accent in and of itself, the Bern 60 Wall Shelf will enhance any room in your home while providing a place to display some of your most cherished items. The piece's fragmented geometry is beautifully highlighted by the contrast between the background and the plywood edged shelves, adding visual interest and increased appeal to any wall. Clean and stylish, Bern's compact dimensions make it suitable for an endless variety of spaces, even the smallest ones.